The pressure cooker whistle goes off and the smell of deliciousness fills up the room. A very normal occurrence in almost every Indian household. Pressure cooking is one of those cooking techniques which always stirs up controversy. Does it make your food bland? Well it doesn’t seem to, if you can control it. Indian cuisine is one of the most popular foods in the world and pressure cooking is a integral part of it. From lentils to mutton curry to a chocolate cake all of these have been traditionally been cooked in pressure cookers in India. This country which is the fastest growing economy in the world, provides its workers little to almost no time to cook by themselves. To buy online pressure cooker is the quickest and the surest way to feed yourself a complete and cooked meal in this unending race to grow. When French physicist Denis Papin invented the steam digester in 1679, he wanted to increase the boiling point of water so that food cooks quickly in it. This is particularly important in cooking because the less time it requires to cook a dish, the more it retains its flavour profile. Many chefs prefer to cook a big piece of meat in a pressure cooker rather than slow cooking it in an oven and particularly during service because it saves time and it makes the food taste better. But there are a few drawbacks while cooking in a pressure cooker that one needs to be aware of. To not submerge the food in the liquid – Submerging the food in the pressure cooker liquid will make the food tasteless as in a 20 minute cooking period only a tablespoon of liquid will evaporate from it. Not good for cooking things that are soft in texture – if you try to cook chicken and bean sprouts in a pressure cooker, chances are that it will turn into hard pieces of food with no liquids left in them. Initial pressure cookers had a major drawback in them. They were prone to bursting up due to the immense pressure build up inside. With the advent of modern technology pressure cookers have become much more safe. Especially the modern electric pressure cookers are very easy to work with and are absolutely safe. 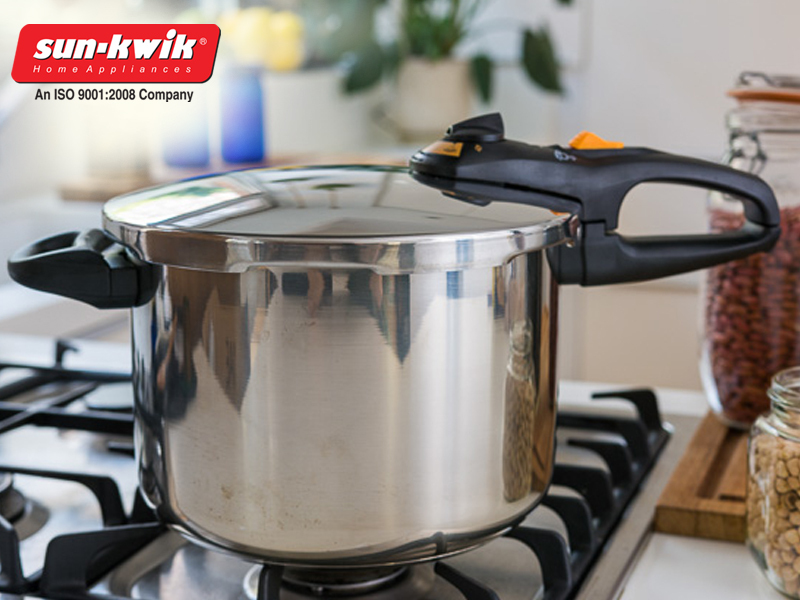 A pressure cooker is made up of small individual parts which all play important roles in the whole process. A safety valve, a rubber gasket, a locking loop, a vent weight are a few very important parts that make a pressure cooker. It is quite easy to lose one small part or some part of it breaks. Pressure cooker accessories in India are easily available and they are sold individually online as well. So go to your kitchen and cook up a delicious storm in your pressure cooker, don’t worry it is safe.